The devil is alive and well and working overtime to undermine the Roman Catholic Church, Pope Francis says. 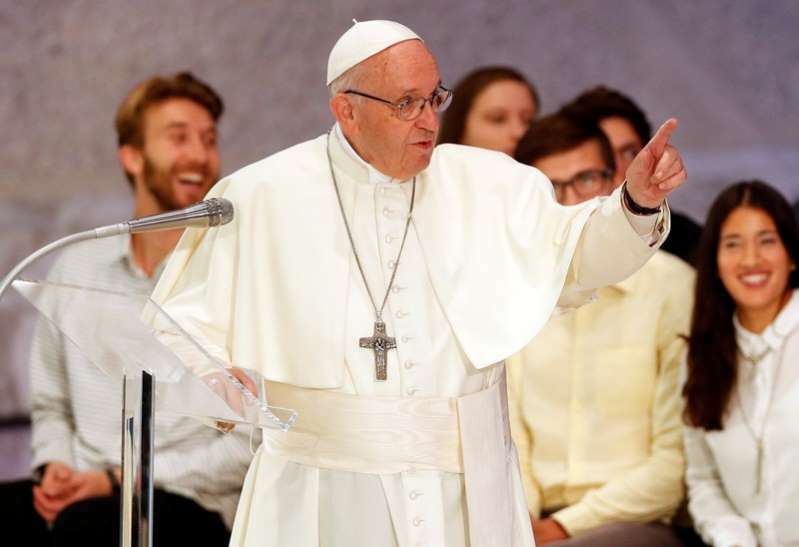 "(The Church must be) saved from the attacks of the malign one, the great accuser and at the same time be made ever more aware of its guilt, its mistakes, and abuses committed in the present and the past," Francis said in a message on Sept. 29. "We should not think of the devil as a myth, a representation, a symbol, a figure of speech or an idea. This mistake would lead us to let down our guard, to grow careless and end up more vulnerable," he wrote in the document. Francis' use of the term "the great accuser" to describe Satan hit a raw nerve with one of the pope's harshest conservative critics, Archbishop Carlo Maria Viganò, the Vatican's former ambassador to Washington. Viganò, concluding that his former boss had singled him out as the devil in disguise, complained in his next statement that Francis "compared me to the great accuser, Satan, who sows scandal and division in the Church, though without ever uttering my name". On Sunday, a top Vatican official issued a scathing open letter accusing Viganò of mounting a "political frame job devoid of real foundation" and contesting his accusations against the pope point by point. Francis is so convinced that Satan is ultimately to blame for both the sexual abuse scandals and the divisions within the Church that he has enlisted the aid of spiritual big gun - St. Michael the Archangel. Michael is mentioned several times in the Bible as the leader of the angels who ousted Lucifer, the fallen angel, from paradise.